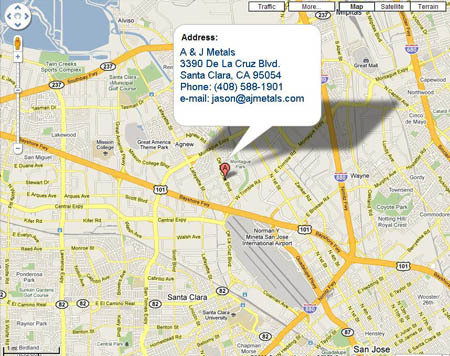 A & J Metals LLC. We do not compete with our customers, we are not open to the public. After hour or early hour appointments are available for our established customers only. Coin dealer, Pawn shop or a dental lab. We buy, exchange & trade Precious Metal, Gold, Platinum and Silver. -- Melt your scrap metal. 3390 De La cruz Blvd. We are open Monday to Friday 10:00 AM to 4:00PM. Copyright © 2014. A & J Metals LLC. All Rights Reserved.